These very beautiful plants are by no means easy to keep in an aquarium, as they have to pass through a "wintering" period lasting a few months, at a temperature of around 15°C. Their bulbous rhizome, with no leaves, must be kept in a separate tank in shallow water. After wintering, the water level and temperature are increased. The aponogetons like strong lighting and moderately hard water. 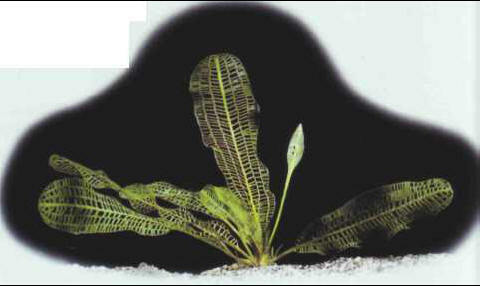 Sexual reproduction with flowers is possible in an aquarium. 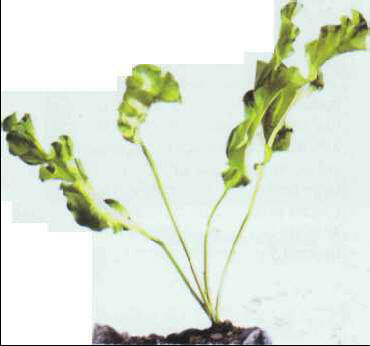 Vegetative multiplication occurs if the rhizome is divided, and buried once leaves and roots have appeared. A. crispus grows quite quickly. Like the other species of this genus, it looks best if it is grown as a single specimen, highlighted against other plants. Size: 40-50 cm. With its wavy, translucid leaves this specimen is considered to be one of the prettiest aquarium plants. Size: 40-50 cm. The leaves of the Madagascar laceleaf consist of veins, which give it a striking appearance but also make it especially vulnerable to invasions by filamentous algae. 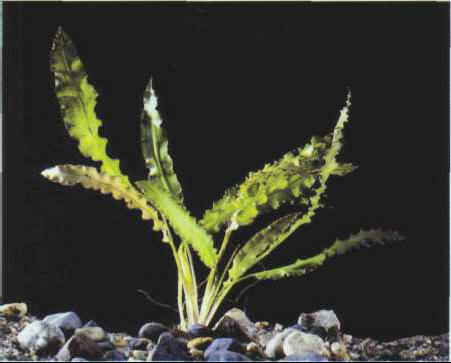 It is often sold under the names Aponogeton fenestralis or Aponogeton henkelianus, but has a reputation for being difficult to cultivate. Size: 40-50 cm. ЖИДКИЕ КАУЧУКИ , жидкие синтетические полимеры (олигомеры), которые в результате вулканизации (отверждения) превращаются в резиноподобные материалы. Выпускаются бутадиеновые, кремнийорганические, полисульфидные и др. жидкие каучуки. Изделия из них формуют методами свободной заливки, вакуумного или центробежного литья. Применяются также для приготовления герметиков, клеев, получения электроизоляционных и антикоррозионных покрытий.